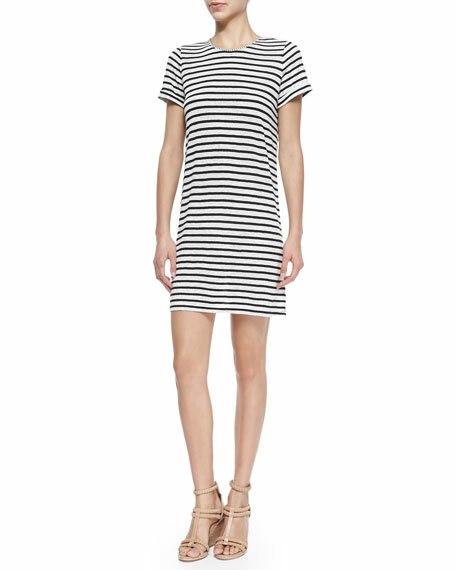 Alice + Olivia dress in striped, soft slub. Approx. measurements: 32"L shoulder to hem, 34"L center back to hem. 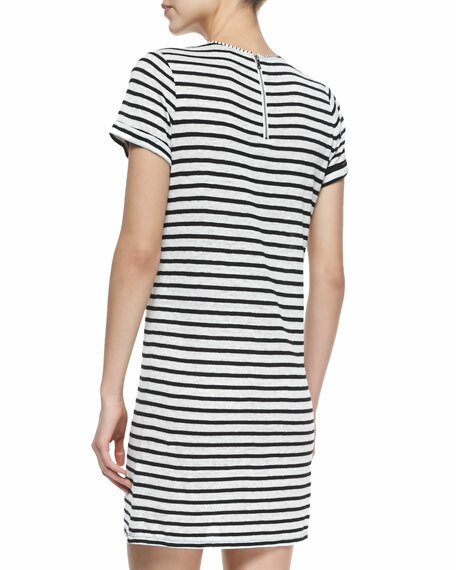 Straight, easy silhouette, 3"L slit.